We are over the moon (pun intended) to announce that WW Norton’s Understanding Our Universe is now on shelves, and features 18 full page illustrations by Kiss Me I’m Polish. 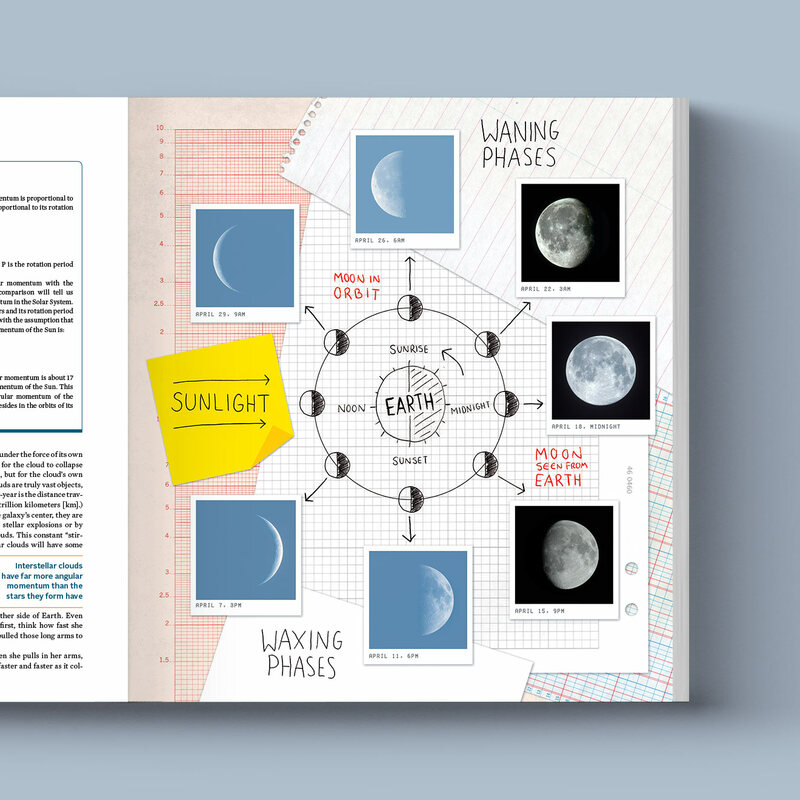 This introductory astronomy textbook features an innovative method of teaching, using art, media, and learning exercises that allow students to apply what they’ve learned, as they learn it. For one of these features, KMIP contributed a series of 18 chapter opener illustrations designed to look like a messy student notebook. The goal: to emphasize observation and sketching by incorporating photos and hand-drawn diagrams that visualize the way in which a student processes information as they are thinking about it – in real time. To do this, each chapter begins with a notebook-type collage that illustrates a specific concept outlined within the chapter. Once the reader reaches that concept, they are they are referred back to the illustration so that they can reexamine it in light of the new information they have learned.